Location data has expanded beyond digital mapping purposes and into our hospitals, where healthcare industry professionals are using the technology to save lives. Modern location data and location-based tools can be used for a variety of things in today’s world. They can help us navigate new areas or places, complete with step-by-step directions. They can help us find our way around a venue or large event center through digital mapping. They can even provide more advanced details like how long a trip will take, what the conditions are along a route or provide alternate routes. It’s easy to imagine this technology in use for autonomous vehicles, public transportation, and consumer travel scenarios. But the technology also has its place in many other industries you might not consider, such as healthcare, for example. In fact, real-time and location data are helping to revolutionize the current state of the healthcare industry. How and why? During a serious emergency, the primary healthcare professional or physician needed is usually on-call—unless they’re already at the facility in question. The patient is transported to the nearest hospital, a call goes out to the appropriate medical professional, and the clock begins ticking. Until that person reaches the property, no one has any clue how long it’s going to take them to get there or better yet to prepare for a surgery or operation. With modern location data, however, all of that could change. You could see, at a glance, where all the physicians are within the facility, as well as outside its walls. If an on-call doctor needs to be contacted, you know where they are and exactly how long it’s going to take them to arrive. This may not seem like much now, but in the heat of the moment, it can make all the difference. In this same way, location data can be used to streamline the inpatient and emergency service processes. If a patient comes in with a serious injury, you can see where to send them within the facility and how busy a particular section is. The latter is important because while you can see information about patients that are currently on deck, you never know how many are in the waiting room. ThedaCare in Wisconsin already has a system like this in place, which has helped them save $850,000 in overtime staffing costs. Their system provides detailed and up-to-date information about admissions and staffing, allowing them to make proper changes to adjust for healthcare demands. These same systems can even be used to protect and keep healthcare personnel safe in the event of a serious incident. Hospitals and healthcare centers are often major targets for the unscrupulous, where emotions and stress levels run high. Having a proper secure and alert system in place that uses real-time location data can save many innocent lives. Imagine this. You’re feeling under the weather so you go to the hospital as a precautionary measure. While there, they do a necessary checkup and find your ailment or condition — while not immediately life-threatening — is serious enough to require a specialist. They refer you to someone nearby, yet it’s a professional you’ve never heard of. You can always go to the recommended specialist but what if you want to find your own? What if you have heard the mentioned specialist is unfriendly or inept? Using a mobile app and local data, you find a specialist nearby that treats your particular condition. Better yet, you can use a service that offers reviews and comments from past patients. This allows you to do proper research and find a health professional that meets your needs. The technology could also be reversed for healthcare professionals to show them the demand and need in a particular area. A skilled cardiologist, for instance, might be better suited for areas where the local demographic is older, or even prone to heart disease. A hospital campus is large, that much is generally true. This makes tracking various elements and people difficult, especially if they’re constantly on the move. From equipment and tools to patients, it’s difficult to monitor where someone or something is at a given time. This can be solved with RTLS tags, or location-based trackers. A patient tag, for instance, can be used to track the movement of a patient from the waiting room to various departments. Nurses and administrators can see how long it took for a patient to move from the ED waiting room to Radiology, for instance. This opens up many opportunities in regards to staffing and resources. Hospitals can scale up or down in real-time the necessary resources needed to make up for current service demands. In this same way, equipment and hardware can be tracked throughout the property and assigned various ETA details. You see, it’s no secret medical equipment and devices can be expensive, so much that hospitals and facilities often have a limited quantity of each item. There may only be one type of imaging or measurement tool, for instance. Doctors and health professionals can sync up with the local network to see when and where equipment is available, and how long until they can make use of it. Much as we discussed initially, the staff can also carry location-based tags to update a real-time system and, by proxy, their team members about their current whereabouts. 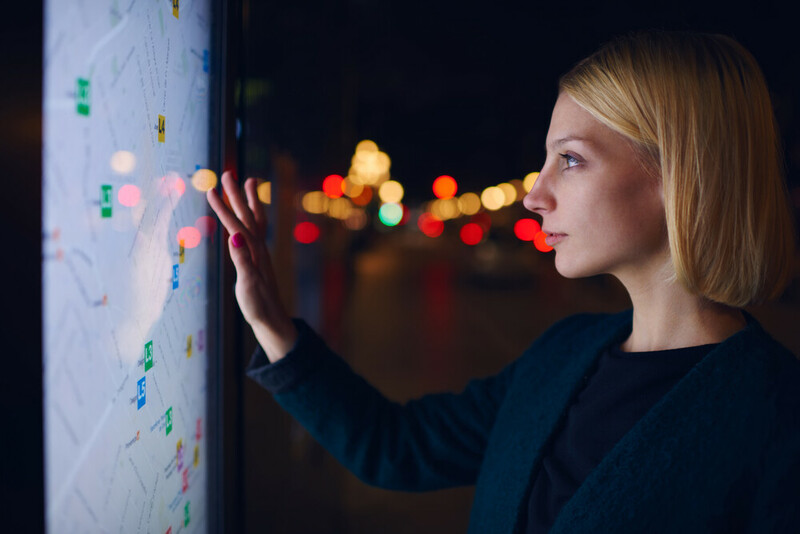 The uses and benefits of real-time and location data have expanded beyond digital mapping purposes for navigating unfamiliar places. Now the technology is improving our healthcare system and saving lives.